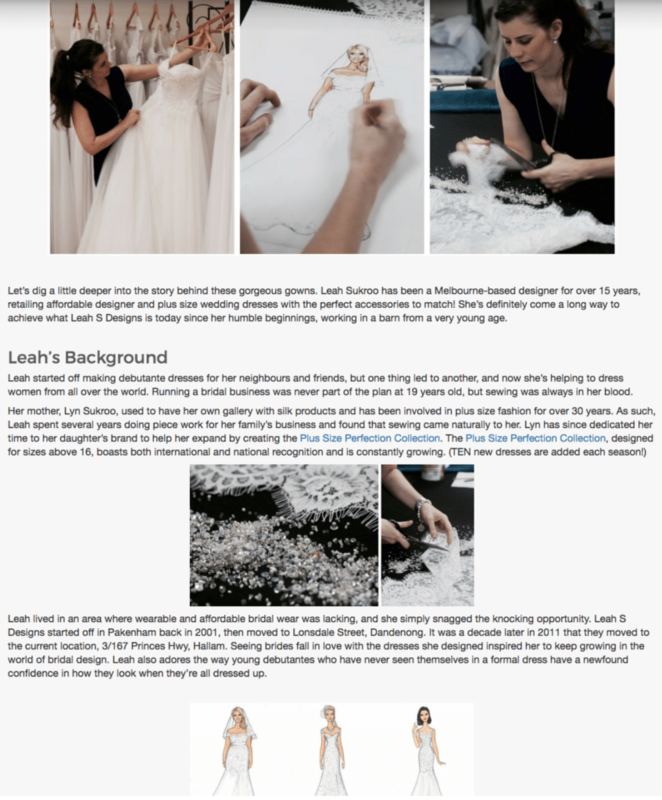 SEO Melbourne interviewed the owner and designer Leah S Designs for a blog post about her work. The client was extremely happy with this piece and commended our writer for putting so much work into the SEO Copywriting. Through this strategic copywriting, we were able to promote her two other fashion labels. We have so far increased her traffic and rankings significantly.